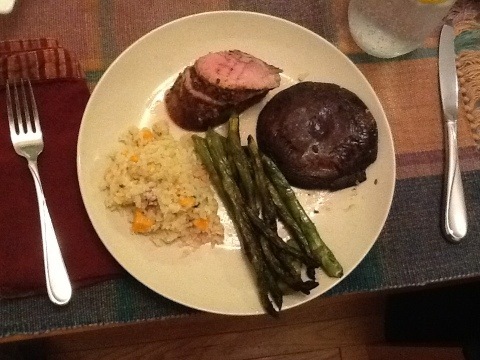 My husband’s specialty is Dry Rub Pork Tenderloin. Since this recipe is rather low on instructions, we’ll show you how it’s done. 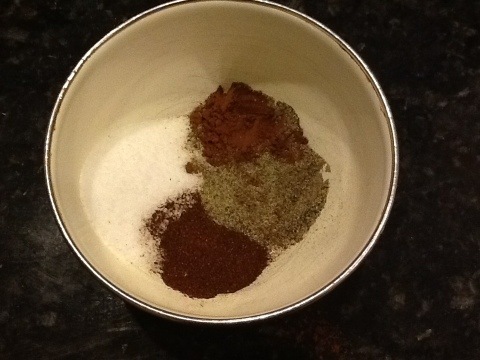 Since we were roasting 2 tenderloins, T doubled the amount of spices except the chili powder. The girls think it’s too spicy otherwise. The recipe states to cook this on the grill, but we generally roast it in the oven. Preheat the oven to 350 – 375, depending on what else you are making. 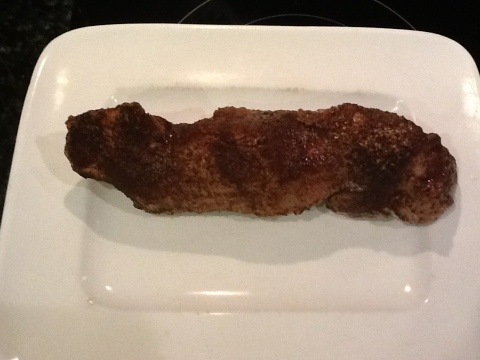 Place the pork tenderloin(s) on a baking sheet. Brush one side with the seasoning mix. Place on the middle rack. 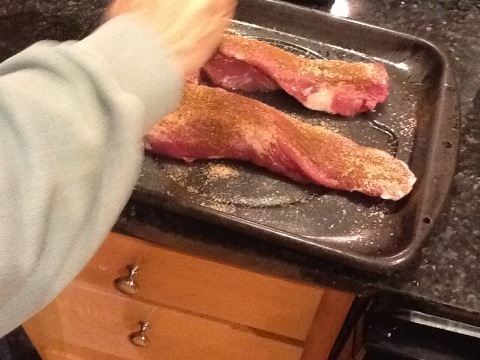 After 10 min, turn the tenderloin(s) over and brush seasoning mix on the other side. Return to oven. After another 10min, start checking the internal temperature. At 140 it will be juicy and pink inside. Transfer to serving platter. While T made the meat I made the vegetables. To roast asparagus, pop the woody bottom parts of the asparagus off. Since this asparagus was so thick I steamed it for 5min in the microwave, but I don’t normally do that. 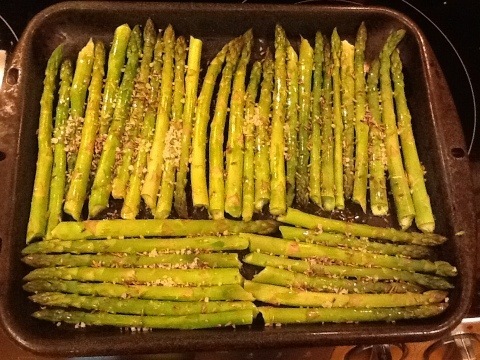 Pour some olive oil into a roasting pan and roll the asparagus around in it. Sprinkle with sea salt and lavender. Place in the oven at 375-425, depending on what else you are cooking and how crispy you like your asparagus. Check on it and flip it when you think about it. It takes 30-45 min depending on your taste. I also roasted portobello mushroom caps. 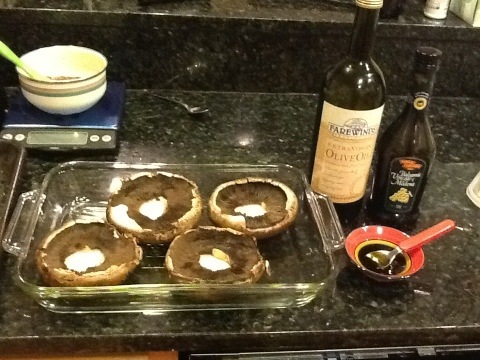 I start them gill-side up and drizzle a combination of balsamic vinegar and olive oil on them. I flip them after about 10min and add more oil & vinegar if they look dry. These take 20-25 min. 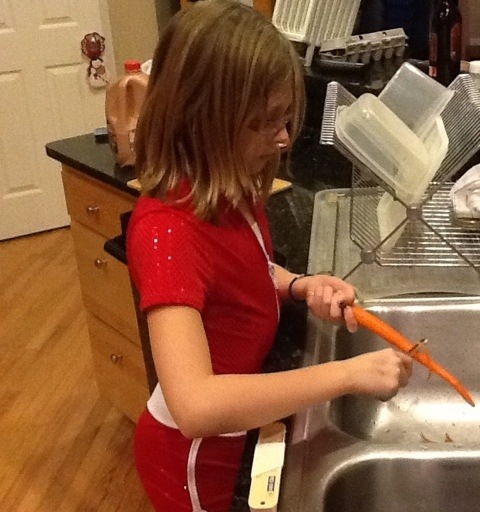 Daughter#2 doesn’t like any of those veggies, so she made herself some carrot sticks. After dinner daughter #1 and I made cashew butter. I haven’t been able to find any raw cashew butter, so we decided to make our own. By this time I was tired of taking pics, but there’s not much to this. Dump a bunch of cashews in your food processor. Grind until it forms a coarse meal. Slowly add almond oil (or oil/fat of your choice) until it turns into cashew butter. Add salt if you wish. We decided we liked it unsalted. This is cheaper than the prices I saw for raw cashew butter online. I’ve been tracking my calories and macronutrients on Lose It! since the beginning of October. I had been gradually picking up a few pounds over the past couple years ( largely due to the availability of high-gravity beer in Alabama), and after my injury I picked up a few more. 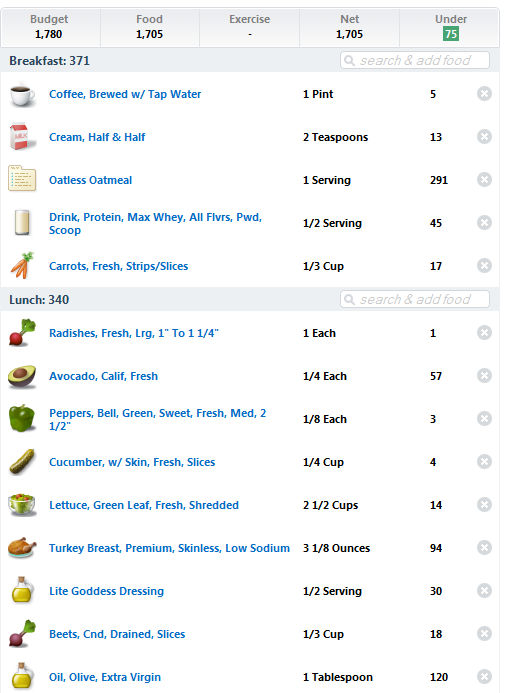 Logging my food made all the difference. I lost the weight easily and have kept it off over the holidays. Lose It! has a smart phone app that makes logging food easy, fast and even fun. They also have great support through the forums. 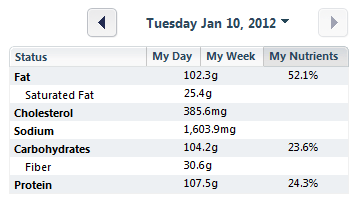 Anyway, I am pleased that I stayed within my maintenance calories, and I am pleased with my macros. 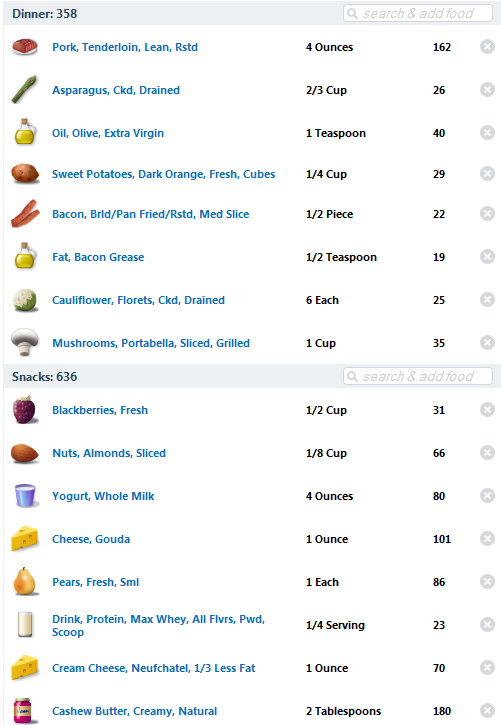 Note how high my fiber intake is without eating any grains, much less supplementing with bran or psyllium fiber. If I were trying to lose fat I would decrease the calories from carbs and keep the rest the same. Best part: I have started to feel uncomfortable when I sit too long. It was a great overall meal. Nice writeup.